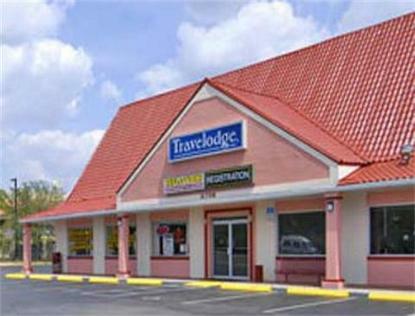 The Travelodge Port Richey is located on Hwy 19 and SR 52, minutes from Hudson Beach. We are across the street from the 1500 booth USA Flea Market. Our location puts you only walking distance to restaurants, 5 miles from the Suncruz Casino Boat dock and for your shopping pleasure, the Gulfview Square Mall at only 4 miles away. Ask our front desk about our fantastic golf courses in and around Port Richey. The Travelodge Port Richey offers our guests a restaurant/lounge on site, an outdoor pool and complimentary hot breakfast. Free Bus, Truck and RV Parking (no hookups). We are a Pet Friendly Hotel-$10/day/pet or $35/week. Check out our EXTENDED STAY SPECIAL- use Promo Code LPSL- stay 5 days or more and get an extra special rate.